A cat who went missing four years ago in California was reunited with its owner after amazingly turning up more than 2,000 miles away in Canada. Olga Chmelicek said she was shocked to receive a call from the Guelph Humane Society in Canada, who informed her that they had found her missing cat BooBoo on March 17. The Watsonville, California, owner eagerly traveled to pick up the cat and after being separated for years, BooBoo was reunited with her family on Thursday in Buffalo, New York. The six-year-old tabby was reported missing in 2013 and somehow managed to make its way all the way to Ontario over the course of four years. The pet was identified through a microchip implant. 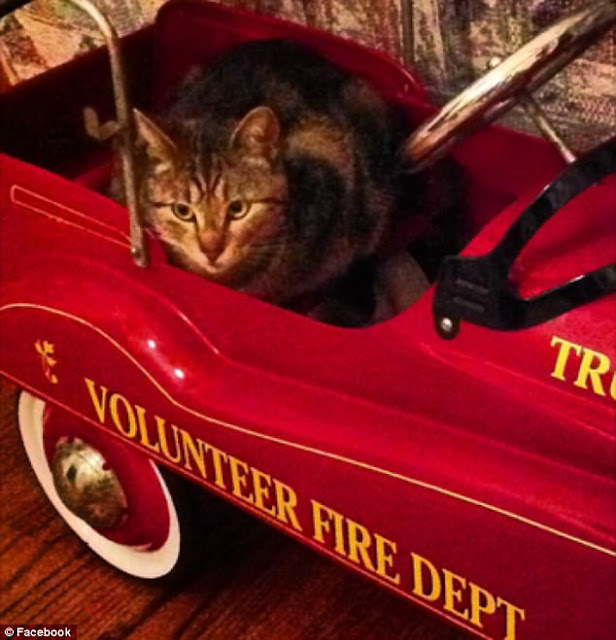 Chmelicek's daughter Ashley Aleman said she thinks the feline managed to travel the 2,000 mile journey by hitching a ride, as the cat had a habit of jumping into cars. BooBoo turned up in Morriston, just south of Guelph, Ontario, earlier in March. She was handed over to the humane society in very good shape, Melissa Stolz, the animal program and intake coordinator said. 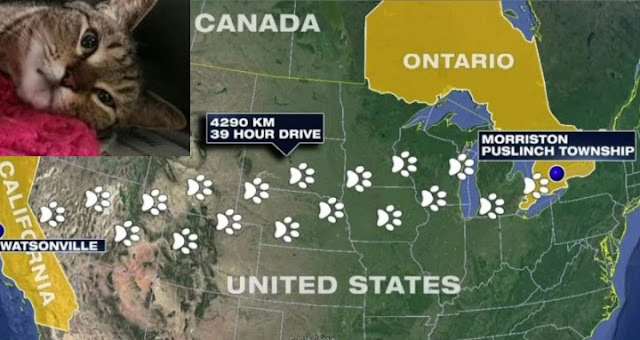 Responses to "Missing California cat was found 2,000 miles away in Ontario, Canada"